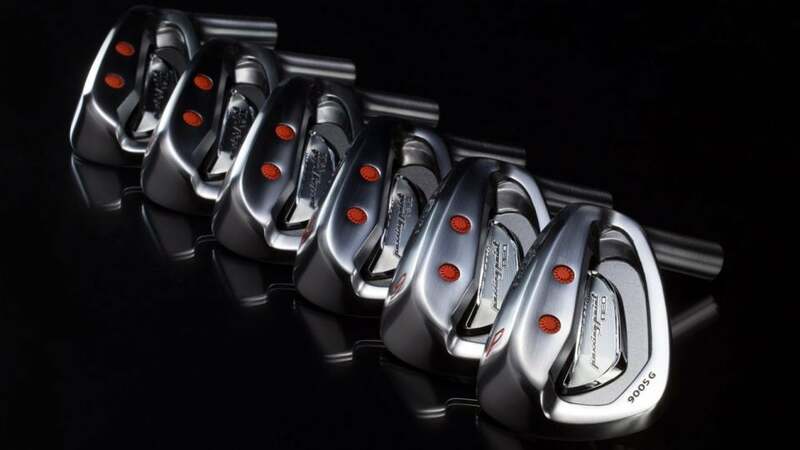 These are exciting times for Miura Golf. Earlier this year, investor Howard Milstein purchased global distribution rights and now Milstein’s team is raising the brand’s awareness in the U.S. while broadening its lineup to suit a wider range of golfers. Here, we’ve highlighted several models that are more forgiving than the company’s typical better-player options. All are crafted using high-end materials for superb feel. The first composite offering to be wholly produced in the company’s factory in Japan, the midsize CB 2008 combines a soft, thin carbon forged face with a stainless steel body on the 5- to 8-irons for players seeking more distance. The company’s widest-ever iron sole lowers the center of gravity for higher launch, while moving mass away from the face to boost MOI. The 9-iron and PW are one-piece forgings to increase control on scoring shots. For players who’d prefer a full one-piece set, there’s the CB 1008 with a slightly thinner sole. CB 1008: $1,680 for 5-PW; CB 2008: $2,100 for 5-PW. The longest iron in Miura’s stable, the PP 9005 G showcases a springy 455 Carpenter steel face plate on top of a forged carbon steel body to preserve sound and feel. A deep undercut allows the face to flex more at impact for greater distance and shifts weight away from the hitting area for forgiveness. The extra mass around the perimeter boosts stability on off-center hits. $1,890 for 5-PW. Forged from soft carbon steel, this one looks like a blade but plays closer to a cavity-back for better players who need a modicum of forgiveness. The cutout in the back of the head saves 15 grams, which get moved to the heel and toe. The cavity design also lowers the center of gravity to get balls airborne more easily. The head is slightly longer from heel to toe than traditional musclebacks to boost confidence at address. $1,980 for 5-PW. This shallow-faced 460cc driver is for players who need additional lift. The 8-gram weight in the heel helps prevent card-killing slices as well. A honeycomb pattern on the sole contributes to enhance feel while also freeing up mass to increase stability. And, the sleek matte black crown contrasts with a silver face to help with alignment. Comes in 9.5° and 10.5° heads (non-adjustable), with additional 6 gram, 10 gram, and 12 gram weight screws sold separately; $640. Complementary all-titanium fairway woods have a shallow construction with a cambered sole for easy launch and distance from the tee and turf. In addition, adjustable sole weights allow you to tune shot shape. A 4-gram screw near the toe combines with an 8-gram one toward the heel for draw bias in the stock model, though 4-, 6-, 8-, 10- and 12-gram screws are also available. The 15° and 18° woods do not have loft adjustability; $540 each.